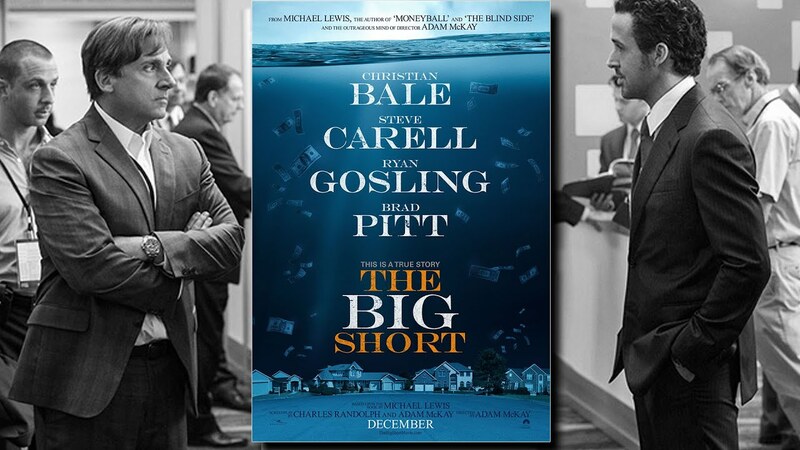 Based on the true story and book, The Big Short, four Wall Street outsiders predicted one of the worst financial crisis in American history (FTC Affiliate Disclaimer). This movies spends the first five minutes explaining how Mortgage Backed Securities started in the 70s and how it ballooned into the fragile bubble we know today. Then in 2005, Michael Burry, M.D. makes a simple request: he wants to see all the mortgages in the top 20 bonds. After analyzing the numbers, he see that the bonds are build on bad loans; and then predicts in 2007 everything would end. It’s not long before Mark Baum, Jared Vennett, Charlie Geller, Jamie Shirkey, and Ben Ricket learn about the predictions. All of them and their brokerage companies decide to bet against the housing market or “short the stock”. If the market fails, they win big. Hence, the title The Big Short. The more they learn about the loans, SEC’s irresponsibilities, and hidden agendas, the more they short the stock. We all know the outcome, but not the journey. The world told them they were crazy, but they knew the world was wrong. This movie is great lesson on banks, loans, and our country’s blind-eyed. It breaks down the 4th wall to explain some terminology that you may not understand, and with the help of celebrity chefs, pop stars, models, and professors. However, the director and editor made some weird cuts and transitions that became overly distracting from the story. They also added canned laughter. These cuts and canned laughter made the movie feel more like a Michael Moore documentary than a true story-turned book-turned movie. This movie is worth seeing, especially if you are buying a house. And be prepared to find yourself disgusted and pissed at everything we … yes we … let happen.